La Reserve Hotel and Spa and Villas Ramatuelle is made up of 9 rooms, 19 suits and 14 villas. 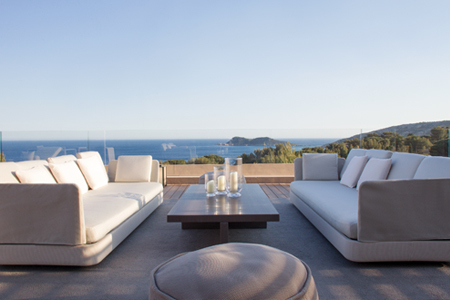 The architecture and interiors have been redone by Jean-Michel Wilmotte to create delicately perched contemporary properties overlooking the sea – the ultimate in refined simplicity and light years away from modern bling. The spa is the only destination spa to cary the brand Creme de La Mer. White orchids and scented candles create a fresh and uplifting ambience and a profound and sometimes long forgotten sense of wellbeing. With spectacular surrounding the resort sits in harmony with nature whilst only few minutes away from St Tropez. Highlife Marketing will utilise strong relationships with luxury tour operators and nice agents to increase market share for this iconic property.